including eliminating weekend voting and capping the hours that polling places can be open for in person absentee voting. State Senator Dale Schultz (R-Richland Center) joined all 15 Democratic State Senators in opposition to SB 324. Yesterday, the State Senate voted to make it more difficult to register to vote and more difficult for people in nursing homes to vote. Also today, the State Senate just passed Senate Bill 655 on a 17-16 vote. 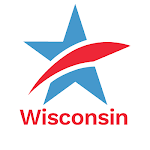 Senator Mike Elllis (R-Neenah), who opposed the measure last week according to WHBY Radio in Appleton, flipped and voted with the majority. Senator Dale Schultz joined the Democrats in opposing the legislation. This outcome was preordained apparently because yesterday, Senate Bill 655 was scheduled for a public hearing today before the Assembly Committee on Campaigns & Elections so that it could be rammed through and then passed in the Assembly and sent to Governor Scott Walker and signed into law. Had SB 655 not had the votes to pass, it would not have been sent to the Assembly or likely even have been scheduled for a vote in the State Senate today. So we knew something was "up." Now we know what. No one outside of the Capitol Square in Madison has been clamoring for increasing the ability of lobbyists to make campaign contributions to legislators. But who cares what the public wants. This benefits lobbyists and the legislators who take their campaign contributions. A giant step backwards for Wisconsin today. State Senate Makes It Harder to Vote and Easier for Lobbyists to Make Campaign ContributionsTweet this!